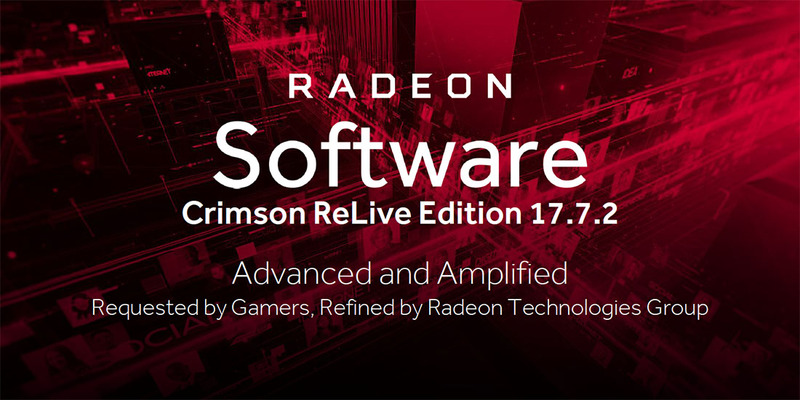 Last week, AMD invited us to a tech briefing on a massive update of Radeon Software – the new Radeon Software Crimson ReLive Edition 17.7.2. They conducted it via conference call, running through 60+ slides in just over 34 minutes. You must be wondering – what on Earth could AMD have to talk about Radeon Software to rate so many presentation slides. A LOT, as it turns out. So much so that the tech briefing was conducted by three AMD speakers. For your convenience, we created a video of their presentation to better understand everything they covered. Check it out! The tech briefing session was hosted by AMD PR Manager Iain Bristow, with the Director of Software Product Marketing Sasa Marinkovic giving the overview of what’s new in Radeon Software Crimson ReLive Edition 17.7.2. The nitty-gritty details were left to Adrian Castelo (AMD Consumer Software Product Manager) and Callan McInally (AMD Director of Software Development). Radeon Additional Settings gets axed, with all features moved to Radeon Settings. Radeon ReLive can now record video at 2x higher bitrate of 100 Mbps. Radeon ReLive also introduces webcam transparency for better visibility in games. The memory usage of Radeon ReLive has been further optimised, reducing the FPS overhead by up to 33%. Radeon ReLive will have refined notifications and enhanced audio controls. Radeon WattMan will allow memory underclocking and power state controls. Radeon Chill will now support laptops, multi-GPU configurations, and Radeon XConnect external GPU technology. Frame Rate Target Control (FRTC) will now support DirectX 12 and multi-GPU configurations. The new Per-Display Colour Controls allow for individual monitor colour controls. The new Enhanced Sync capability reduces stutter (by up to 92%) while increasing responsiveness (by up to 34%). Performance is further improved, with an emphasis on improving responsiveness. Shader Cache support is extended to certain DirectX 9 game titles for faster load times. To further reduce bugs, AMD announced the Radeon Software Vanguard Beta Testers program, which allows selected participants to work with them on Radeon Software. They will receive early access to Radeon Software drivers and can submit feedback and even new ideas to the Radeon Software team. AMD LiquidVR 360 SDK for 4K x 4K VR video playback, with support for HEVC and ambisonic audio. AMD LiquidVR allows for hardware acceleration, boosting frame rate by 65% and reduces power consumption by 15%. AMF Media Plugin adds support for Radeon GPU-accelerated video playback in Unity and Unreal Engine 4. The new Radeon GPU Profiler is the first PC graphics tool that allows for low-level, built-in hardware thread tracing. Radeon GPU Profiler will support Windows 10, Windows 7 and Linux, as well as the DirectX 12 and Vulkan APIs. Previous : The Neffos X1 Lite Smartphone Debuts At Just RM 499!